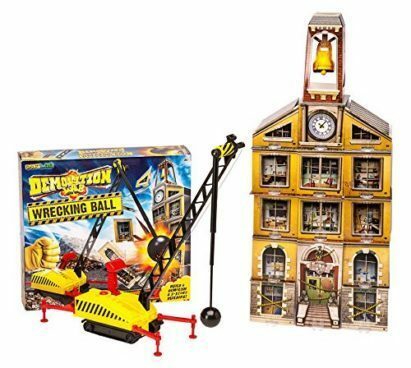 The latest addition to the best-selling, award-winning Demolition Lab line brings the house down-literally with Demolition Lab: Wrecking Ball! Mix-and-match pieces to build your own one-of-a-kind structure, then knock it down! Includes 26 wall panels, 13 floors/rooftops, 16 footing clips and more!